Whistler Blackcomb is, without a doubt, one of the premiere ski resorts in the world, having been the Alpine skiing venue of the 2010 Winter Olympic Games. Situated in one of the most picturesque locations in the British Columbia, it offers not only the best experience for skiing and other winter sports, but also offers world class non-winter activities such as golfing and mountain biking, all designed to provide a challenging and fun experience for sport and adventure enthusiasts, as well as allow visitors to fully enjoy the breathtaking view of the mountains. It is an experience that extends even when traveling to and from Whistler Blackcomb, when you use Whistler Mountain Transportation for your Whistler BC transportation needs. 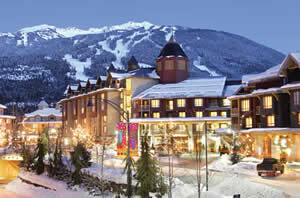 Whistler Mountain Transportation has a wide range of vehicles for 1 to 32 passengers, and do it in style and comfort. They understand the needs of people who want a seamless holiday. One that can be enjoyed right from the moment they arrive, until the time they depart. Whistler Transportation offers luxurious, chauffeured ground transportation and specializes in private round trips from anywhere in Greater Vancouver, including the Vancouver International Airport, the Port of Vancouver Cruise Ship Terminal and BC Ferries Ferry Terminals. Chauffeurs are available to meet you right at the airport, and are kept informed of your arrival times, including flight delays or schedule changes. Travel from Vancouver to Whistler along Hwy 99, better known as the Sea to Sky Highway and considered one of the top 10 most scenic roads in the world. Savor the sights along this route, which include rainforests, a dormant volcano, ancient glaciers and lava flows, mountain lakes, waterfalls, spectacular ocean views, quaint villages, and of course, the majestic mountains. With seasoned chauffeurs pointing out areas of interest, it could give you the same enjoyment as an arranged tour, and is certainly more pleasurable than any other Whistler BC transportation option. The Whistler BC limousine services from Whistler Mountain Transportation not only afford you all the comforts of a limousine ride, but they can also make transportation to the Blackcomb area more economical. They have a range of vehicles that can accommodate 3 to 32 passengers, including luxury all wheel drive sedans, 4 wheel drive SUVs, Sprinter vans, traditional limousines, and luxury mini busses. If you are traveling with a group, especially for special occasions, you can all enjoy the same luxurious ride for one, all inclusive price. Whistler BC limousines can take your ski equipment and golf bags, along with your luggage, allowing you a comfortable and pleasurable travel experience. A group of six or more could travel, using our Whistler BC limousine service, for little more than the cost of travelling by bus. Of course, you get to travel in luxury and comfort, air conditioning, with free Wifi and CD sound systems. Our Chauffeurs aren't just experienced professional drivers. Many are also first class tour guides. Interested in a full day tour of Whistler and the Sea to Sky Corridor, or a 2 hour, 4 hour or full day tour of Vancouver? No problem. Just let us know when you make the reservation and we will customize a day to suit your interests. Whistler Mountain Transportation operates 24 hours a day, available to accommodate whatever your schedule may be, as well handle any special requests you may have. The easiest way to make a booking is using our secure online booking system, or by sending an email at info@whistlertransport.com or by phone, 24 hours a day, at +1-604-685-5033.. There can be nothing better than a stress-free holiday, with your ground transportation as luxurious and enjoyable as it can get, by having your Whistler BC limousine services provided by the professionals at Whistler Mountain Transportation.